The United Nations has declared March 21 as the annual International Day of Forests. The day has been celebrated since 2013. An accompanying celebration called World Wood Day (not associated with the UN) occurs on the same day. Forests, of course, are part of a sustainable earth. About one-third of the earth’s land area is covered in forests (and the U.S. has about the same percentage of its land in forests). More than 1.6 billion people—about 20% of the world’s population—rely directly on forests for their food, fuel, housing, medicine and jobs. Included in that are 2,000 indigenous cultures. Forests are biodiversity treasures. About 80% of the earth’s terrestrial biodiversity lives in forests, a much higher concentration than any other terrestrial ecosystem. Forests also serve as the lungs for the planet, breathing in carbon dioxide and breathing out oxygen. They are enormous sinks for storing the greenhouse gases that modern human life emits into the atmosphere. Through their metabolic activities, including evapotranspiration, forests drive the global climate system, directing wind and precipitation patterns. Nonetheless, forests continue to decline in area across much of the earth. About 14 million net acres of forest are lost annually, converted mostly to agriculture but also to urbanization and other human-related uses. Almost all net forest loss occurs in tropical and sub-tropical regions, while forest area is actually increasing across North America and Europe (total forest area in the U.S. hasn’t declined in about 80 years). The good news is that the rate of deforestation has slowed greatly over the last 25 years, and continues to drop annually. 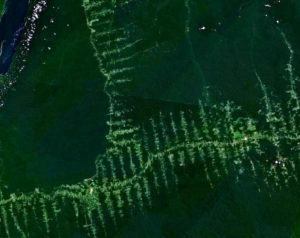 In Brazil, for example, which had been a major location for forest loss, the rate is now near zero. The UN decided to celebrate the goodness of forests, trees and their many values by creating the International Day of Forests in a December, 2012, resolution. Each year features a new theme; for 2018, the theme is “Forests and Sustainable Cities.” The theme highlights that trees outside of forests—in cities—provide great benefits. They absorb greenhouse gases, pollutants, noise and heat, helping to improve the local environment. In developing regions, urban trees can provide local populations with food, fuel, medicines, and raw materials to be used in artisanal crafts. Green spaces in cities provide for both active lifestyles and the stress release that comes from living, working and commuting in more natural conditions. So, as spring begins, so does a new year of life in forests and trees wherever they grow. 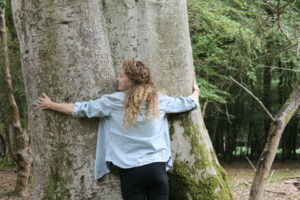 On March 21, say thanks to the forest—and go ahead, hug a tree! Food and Agriculture Organization of the UN. 2016. Global Forest Resources Assessment 2015—How are the world’s forest changing? Second Edition. Available at: http://www.fao.org/3/a-i4793e.pdf. Accessed March 19, 2018. United Nations. International Day of Forests, March 21. Available at: http://www.un.org/en/events/forestsday/index.shtml. Accessed March 19, 2018. World Wood Day Foundation. About World Wood Day. Available at: http://www.worldwoodday.org/about. Accessed March 19, 2018.